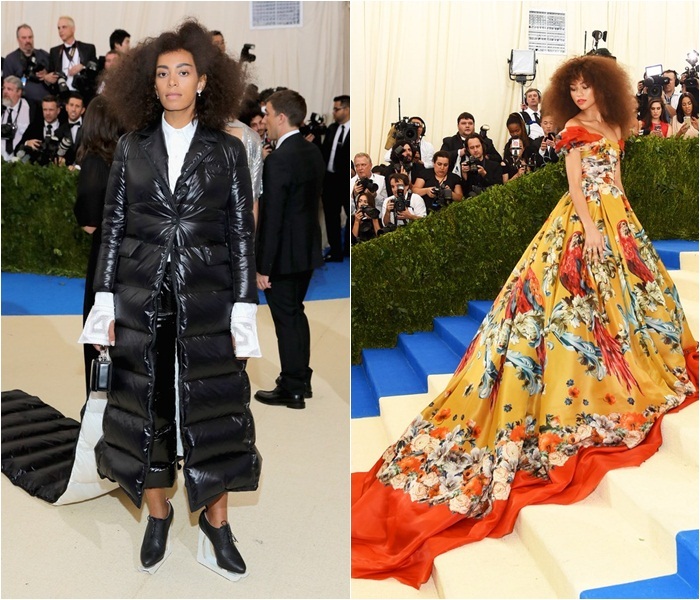 The 69th annual Met Gala (AKA fashion's biggest night) was themed Rei Kawakubo, a Japanese fashion designer based in Tokyo and Paris who is the founder of experimental fashion brand Commes des Garcons. From Kim Kardashian to Selena Gomez, many celebrities rose to the occasion with a range of conceptual looks, but some seem to have missed the point. See it for yourself! The Hadid sisters, Bella and Gigi show that despite being sisters, their taste in fashion are completely different! Anna Wintour and Cara Delevigne show up at the Gala in a glittery ensemble. Blake Lively and Gisele Bundchen settle with a slim-fitting long dress with trains. Dakota Johnson and Hailee Steinfeld look stylish in their very own dramatic black attire. Between Elizabeth Banks and Emmy Rossum, who looks better in their monochrome-themed dress? Elle Fanning looks like a sweet and kind princess while Lily Collins looks like her opposite! Emma Roberts and Rose Byrne arrive at the Gala with a simple bright red dress. Jessica Chastain and Kate Hudson go minimalistic with their dress. Katy Perry and Rihanna probably are the two stars with the most bizarre looks! The Jenner sisters seem to be wearing the opposite of each other as Kendall appears to be more wild while Kylie seems tame. The two bodacious stars Kim Kardashian and Nicki Minaj tone down their rowdy style this year with the above looks. Lupita Nyong'o and Lily Rose Depp wears simple evening gowns which suits them very well. Selena Gomez opted for a innocent look while Priyanka Chopra goes on a full gangsta style! The only thing in common between Solange and Zendaya is their bushy hairstyles.